Temporomandibular joint disorder, called "TMJ," can cause a variety of painful symptoms, including chronic headaches and facial soreness. At the practice of Dr. Paul Sussman and Dr. Meredith Pogal, we offer real-world solutions for this common dental problem. Unfortunately, TMJ often goes undiagnosed. General pain is difficult for non-dental professionals to connect to TMJ. Headache treatments may be recommended to you, but these won't get at the actual cause of your symptoms. Our experienced dentists first determine the most relaxed, ideal position of your bite and jaws. Then we create a customized orthotic device that holds the jaw in that position, thereby relieving tension, stress and exertion on the TMJ. A misaligned bite can cause strain in these joints, which could be causing your symptoms. If you live in Rochester, Webster, Greece, Fairport or any of the surrounding areas and are ready to find effective relief for your TMJ symptoms, please call our experienced staff at 585-227-4390. Once your dental implants have healed, you'll be able to fully enjoy the benefits of these outstanding tooth replacements. Chewing, speaking and smiling will feel as comfortable and natural as before you lost teeth. Caring for your dental implants long-term is also easy, as long as you practice proper dental hygiene. Brush at least twice a day. There is no need to brush more often with dental implants, or to use a different type of toothbrush than you do normally. Don't neglect the dental implant when brushing and flossing. It's true the porcelain restoration atop the dental implant cannot decay. But the gum tissue and surrounding teeth can become infected and decayed. You must reduce plaque and food debris on all of your teeth, including on the dental implants, in order to maintain a healthy oral cavity. Visit the dentist for your routine appointments. 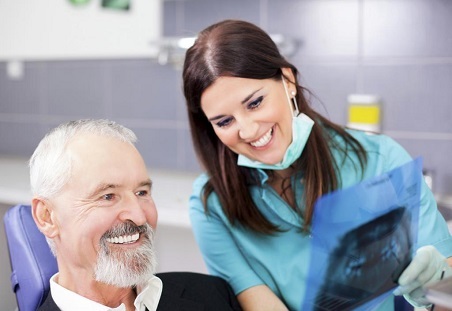 Our experienced dentists will help you maintain your dental implants for the long-term. With regular dental cleanings and exams, we ensure the cleanliness of the restoration and check for signs of any problems. Dr. Paul Sussman and Dr. Meredith Pogal are dedicated to the lasting dental wellness of each of their guests. If you are interested in dental implants, we will fill you in on all of the details. We want you to know what to expect from the treatment process as well as the long-term performance of these restorations. Our dentists will also determine if you are a good candidate for any other type of tooth replacement, so that you get the full picture of your options. To schedule a consultation in Rochester, NY, please call 585-227-4390, or contact us by completing the form on this page. Call the experienced dentists at the practice of Dr. Paul Sussman and Dr. Meredith Pogal to find out if mini dental implants are right for you. These smaller mini dental implants are a good option for a wide variety of patients. To schedule a one-on-one consultation with one of our experienced dentists in Rochester, NY, please call 585-227-4390. Millions of Americans suffer from sleep apnea. Hundreds of thousands of new cases are diagnosed each year. There's no good way to know exactly how many cases go undiagnosed. If you suffer from sleep apnea, treatment is necessary to restore your ability to get restful, restorative sleep. At the practice of Dr. Paul Sussman and Dr. Meredith Pogal, we are proud to provide one of the most effective, comfortable forms of treatment: the mouth splint. You may have also heard this treatment referred to as a snoring device, sleep appliance or mandibular advancing splint. There is a wide variety of brands. We use the MicrO2. You may wonder, how does the sleep device prevent sleep apnea? It works by holding your jaws forward, in their proper position, so that the tissues of your throat and the back of your mouth cannot droop into your airway. It is the drooping of these tissues that causes an obstruction of your airway while you sleep, thereby cutting off the flow of oxygen until your brain rouses you enough to open your airway. If you think you may have sleep apnea, we urge you to contact our dentists. Once a physician diagnoses the disorder, we can provide treatment to restore restful sleep. To schedule a consultation with our experienced dentists in Rochester, please call our staff at 585-227-4390. We are proud to provide care to people from across the region, including the areas of Webster, Greece and Fairport, NY. Porcelain veneers can last a very long time, especially if you take care of them. The teeth are gently abraded so that a very strong, durable connection is formed between the veneer and the enamel. Maintenance should include brushing, flossing, and visiting the dentist for routine cleanings and exams. Although the veneer itself cannot decay, the junction where the veneer and natural enamel meet can develop cavities. Please watch Dr. Sussman's video to learn more. Curious if porcelain veneers will work for you? To schedule a FREE consultation in Rochester, NY, please call our experienced staff at 585-227-4390. Invisalign® is an innovative, effective way to straighten your teeth and align your bite without metal brackets and wires. Many adults who want to improve their smiles are excited about the prospect of nearly invisible orthodontic treatment. The only way to know if you are a good candidate is to schedule a consult at our office in Rochester, NY. We look forward to meeting you to discuss your goals! To arrange your Invisalign® evaluation, please call the Center for Cosmetic & General Dentistry at 585-227-4390.